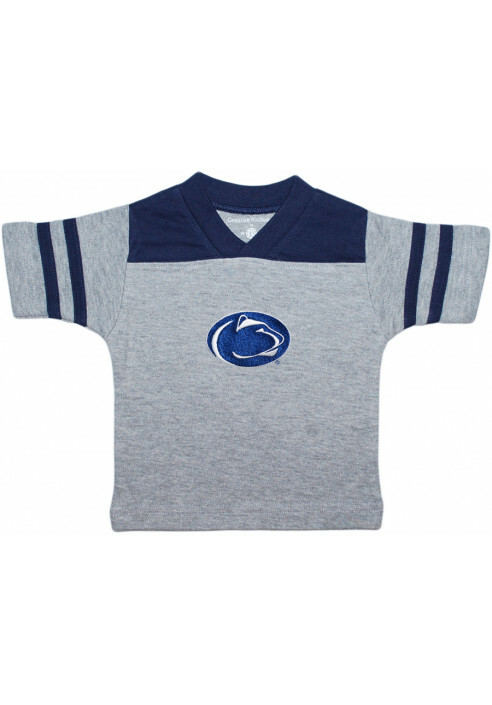 • Infant Penn State Tee by Creative Knitwear. • Gray body with Navy collar, shoulders, and striped on sleeves. • Embroidered Nittany Lion Logo applique on front.